Lately we’ve been reaching out to folks in the MTB industry in search of opinions and insight on the complexities that inevitably come along with eBikes – more specifically on trail access in the United States, where tension in running high and access is already strained. A few weeks back we chatted with some friends at Specialized, a brand that has been very much “pro eBike”. 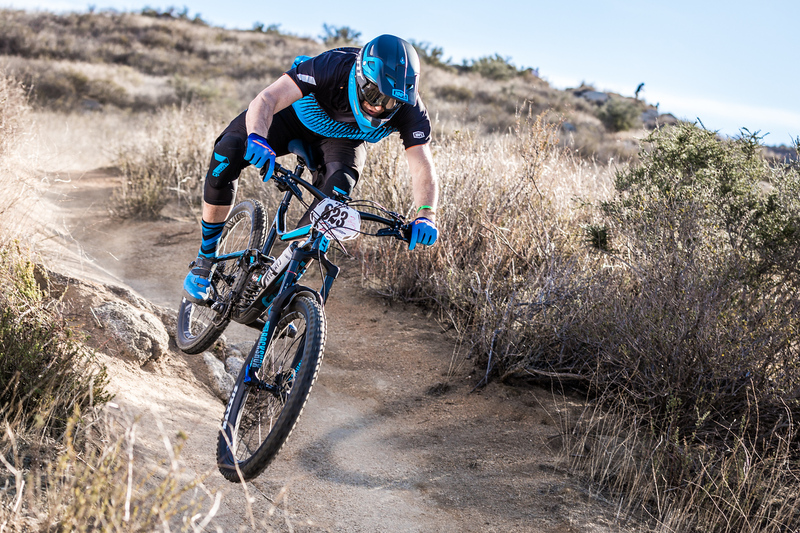 In this interview we turn the tides a bit and sit down with someone who greets eBikes more apprehensively than many on the marketing side of the MTB product world. Andrew in full EWS training mode. MTB-Mag: OK Andrew, so you seem to be one of the few people on the product side who isn’t exactly thrilled about eBikes. What are your main concerns with them? Andrew: You know there are a ton of concerns – some of them are founded and some are not. As a lifelong mountain biker, the sport means the world to me. I want to make sure that mountain biking continues to flourish and that we can all enjoy open access to trails so that when my son is old enough to ride, he can ride on the same trails (hopefully more) that I’ve been able to ride. Whether it’s Giant, Trek or any other brands, I want to make sure that we’re aligned in being thoughtful and conscious of how our products will have impacts on trail access issues. As we all know there are a ton of different legalities up in the air right now and that can vary from state to state, municipality to municipality and even from trail to trail. This makes it nearly impossible to keep up to date on defining what is legal and illegal in your back yard. That’s what matters for our dealer base and for owners of eBikes – knowing if it’s legal to ride…It’s very difficult to answer that question right now because there is so much up in the air. There are movements afoot that can help users identify which trails are legal and which are not, but it is still developing and quite up in the air. MTB-Mag: When we first had an off the cuff chat with you about eBikes a couple years ago, you seemed to be really dreading them. Would you say that your stance has changed at all? Is the advocacy going in the ride direction? Are your concerns easing? Andrew: My one core concern remains the same – trail access issues. I just want to make sure that as a whole new segment is taking to mountain biking on these very powerful bicycles, that they’re not creating problems for the rest of us who are human powered. That always has been and always will be my concern and I think it’s fairly valid…I’m not getting hung up on any of the other issues. MTB-Mag: What do you think of IMBA’s rather diplomatic stance on eBikes? To clarify, they aren’t actively advocating for eBikes, but they are supportive of sharing trails with Class 1 eBikes on non-motorized trails. What do you think of their position? Andrew: To me, it’s a bit wishy washy and it seems like they’re toeing both sides of the line. I’d like to see them take a stronger stance on eBikes…Currently they are on both sides and they’re playing it safe. Again, my one goal which falls on the responsibility of manufacturers and IMBA is to assure trail access to human powered bicycle riders. We all need to be on the same page regarding that. MTB-Mag: Up here on the Central Coast of California, we’re seeing a lot of eBikes out on the trails. Through our lens, most of them have been relegated to fire roads. What are you seeing in So-Cal? Andrew, in So-Cal back in his days as an editor. Andrew: We are at ground zero. The Los Angeles area has roughly 14 million people and the trail network is essentially fixed. It’s not like we’re adding miles of singletrack. Local agencies have fought tooth and nail for the trails that we do have and we’re quite grateful for what we’ve got. So, we’ve got lots of people and a finite amount of trails with a lot of people buying eBikes. I would even argue that where we live specifically in the Thousand Oaks area is truly ground zero as we have a couple of local dealers who are selling them like hot cakes. To answer your question, every time I go on a mountain bike ride I see at least one eBike. What’s interesting about that is that generally speaking, these are people who are new to the sport. I’m making a bit of a sweeping categorization here, but we’re talking about lots of consumers who walked into a bike shop with X amount of dollars to spend and were understandably sold on an eBike. That said, many of these people are first timers who have no concept of trail etiquette – how to ride safely, who gets right of way, difficulties with hikers and horses, etc. All of those issues that we learned as mountain bikers quite a few years ago. 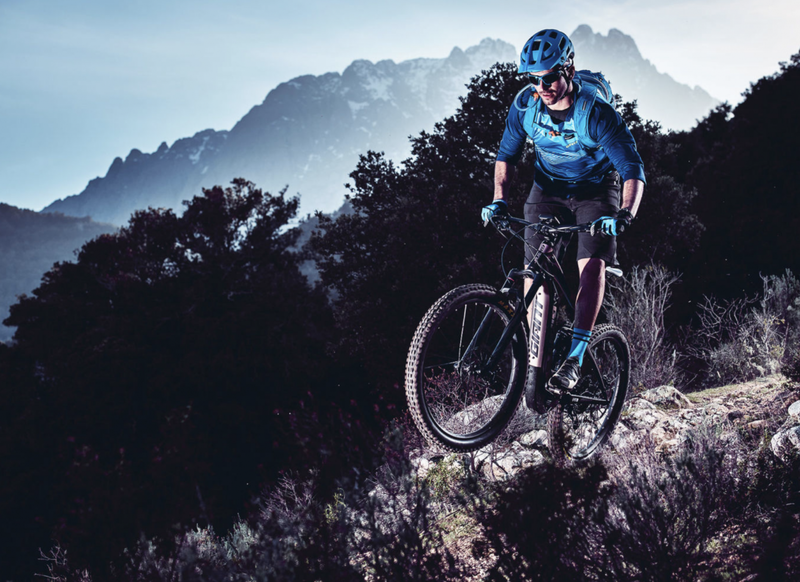 MTB-Mag: Do you think it’s dangerous that eBikes have a draw with a particular crowd which might enjoy the outdoors, but don’t necessarily want to deal with how difficult the climbs can be? Andrew: Well, I’m not trying to be elitist here, but the thing that we all know about human powered mountain biking is that it’s hard. It’s really hard…the barrier to entry to our sport is perseverance and getting up that hill for that first year. You have to build on your fitness. That filters out the mass majority of people who give mountain biking a bad name on shared trails. Think about how many hundreds of thousands of bikes are just hanging up in garages which will never be used because the sport is so damn hard. With eBikes, it’s not that hard. People can hop on and ride farther and deeper into the trails that we all use. Full circle, my main concern stands – I worry that inexperienced riders going in over their heads on the same trails as hikers, equestrians and other cyclists may cause a loss of trail access for human powered MTBs. MTB-Mag: Do you think the media has been fair in presenting both sides of the argument regarding eBikes? Andrew: I think we’re seeing a fair amount of pieces like this interview where industry folks are being asked about their opinions, but the one thing I’d be curious to see is some real science behind this. Questions like what is the average speed of an eBike compared to a regular bike? I think IMBA did some experimentation with comparing erosion and trail damage…that’s all well and good but nobody has clocked and compared average speed. 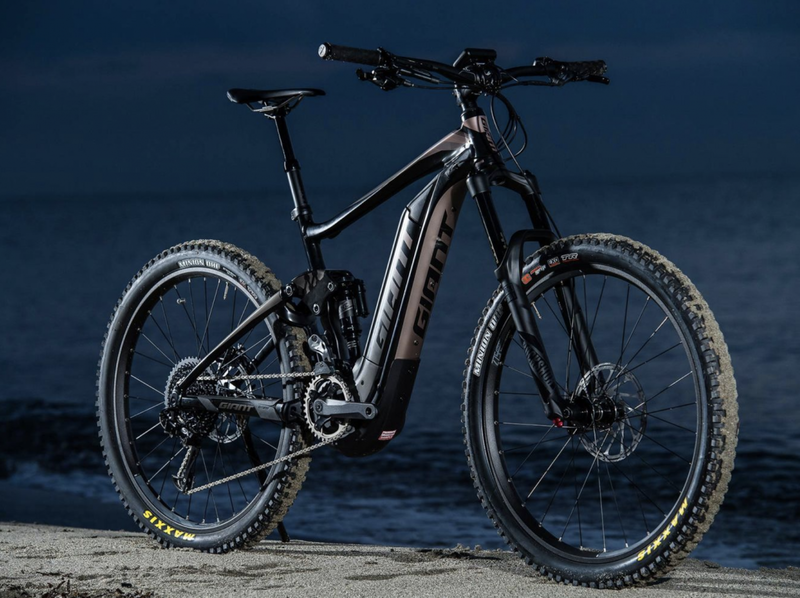 MTB-Mag: Giant, as a brand seems to be making a fairly discreet entrance into the eBike stage here in the US. They aren’t blasting out huge marketing campaigns like Specialized…Is some of that because Giant generally isn’t a brand that relies heavily on marketing in the first place? Or is it a combination of both. Andrew: Speaking with my Giant hat on, that’s an interesting question. Giant was the first manufacturer to offer eBikes – over 10 years ago in fact. We have our own factory which is called “Giant Electric Vehicle” and it’s 100% dedicated to manufacturing eBikes. That factory was built 12 years ago so we’re by far the #1 player in eBikes on planet Earth. That said, number one sales is in Europe, particularly in Holland. In the US, I would agree with you. I will say this though – from a production and sales standpoint, it’s full steam ahead with us…there is no hesitation whatsoever with Giant USA’s product offering or drive to sell eBikes. From a marketing standpoint, that’s for you to judge. 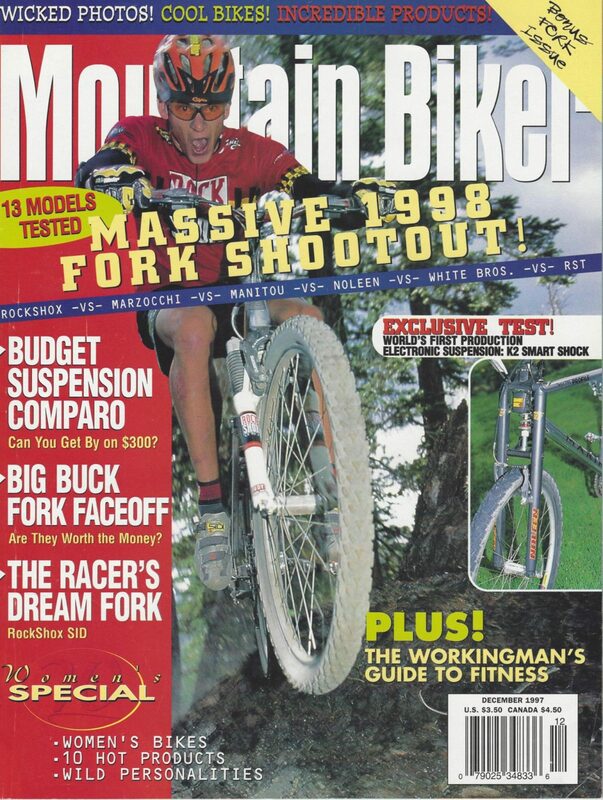 MTB-Mag: OK, here’s another one for you. There’s a pretty compelling argument for eBikes for ex mountain bikers who had to hang up the bike due to injuries. Take Troy Lee for example, he had a serious hip injury and the long hours of saddle time on climbs took their toll and culled his recreational riding. A couple of years ago, Troy got back in the saddle aboard and eBike and he’s really been loving going out and getting the blood flowing. Stories like that are probably the exception and not the rule, but eBikes are being sold on them. What are you thoughts on that sort of thing? MTB-Mag: Where do you see things in five years? Andrew: I’ll speak through our local lens here. You’ve been to our happy little valley in the Thousand Oaks area North of LA. We’re lucky to be surrounded by trails; whether they’re good or not is for you to decide. Put it this way, out of the three major riding areas we have, two of them are now officially closed to eBikes. One by one they’re falling. So, in five years whether it is due to the result of collisions, legalities or just arbitrary snap of the fingers “we don’t like them” style decisions, there will be more closures. That said, I think things will shake out and settle down though. There will be better definitions of class and local municipalities will have chances to experience and understand the bikes better then make their judgements. I also think that in five years there won’t be an argument or discussion about this sort of thing anyway. We’ll likely have moved past that for better or for worse. MTB-Mag: In another discussion we had, the idea of a coalition of brands came up similar to what happened in the motocross industry in the 1990’s. Perhaps things might work out a bit better if some of the bigger brands banded together and worked on improving and maintaining trail access while promoting educational efforts. Whether this means that they work along with IMBA or if they sidestep them is debatable, but what are your thoughts on that? Andrew: People for Bikes (www.peopleforbikes.org) are leading the charge on that thing in the moment. There is a bunch of information on their website which helps define categories – eBikes, pedal assist, etc. They have an easy to use interactive map that they are constantly updating which points out which trails are legal for eBikes and which are not. That really is the best place for people to start. MTB-Mag: Anything else you want to add in? Andrew: To me this is a bit like the Gold Rush. Across all of the major and minor brands, sales are down right now…It’s tough times in the cycling industry, road and MTB included. This kind of makes for a perfect storm because eBikes can sort of shore up a brand. If you build an eBike, somebody is going to buy it. It’s crazy, we can’t keep anything in stock..so it’s a bit of a land grab right now. That’s all going to settle down and things will get a bit more real in three years; in five years it’s going to get VERY real. Some of our sales companies around the world will only sell eBikes. These machines aren’t a fad like fixies…they are here to stay. 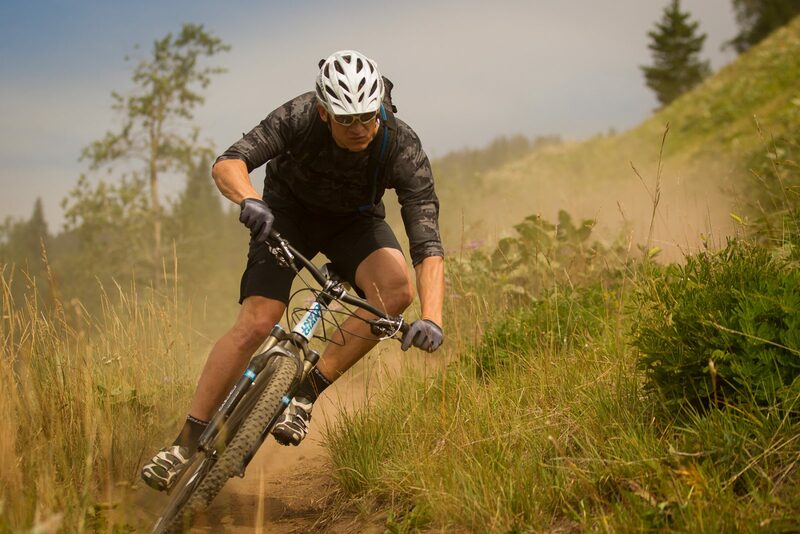 MTB-Mag: Andrew, thank you much for chatting with us!